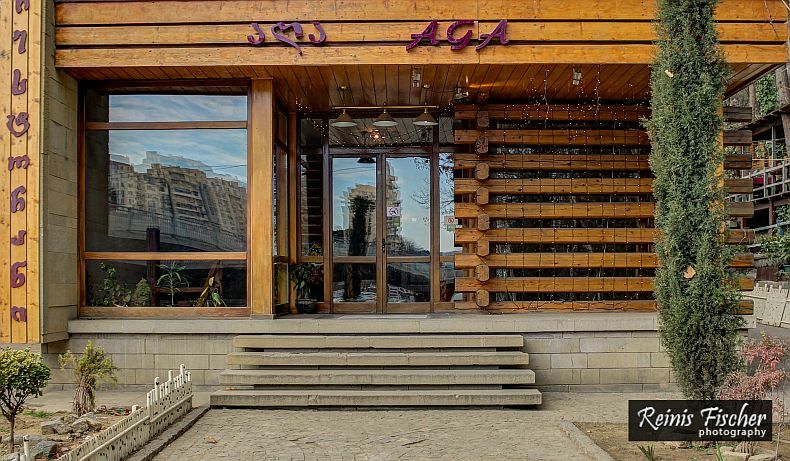 Azerbaijani cuisine restaurant Agha is located near Heroes square (access is from the Circus side) in Tbilisi. After a meal here - I'm already planing my next trip to the land of fire - Azerbaijan. At this restaurant I tried something new for me - Dushbara soup, piti soup and veal saji on Fire. Before restaurant Aga moved in here, there was a Russian cuisine restaurant - Matreshka. 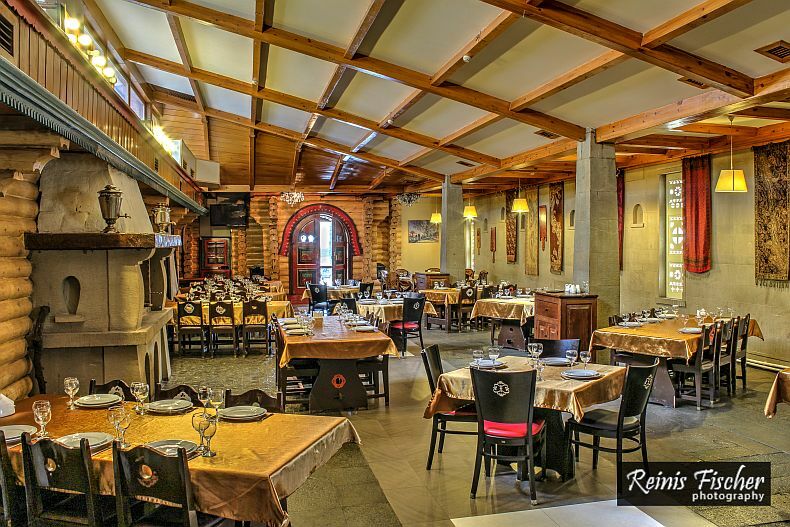 The inside log house interior and menu with Matreshka logo's will remind you the history of this place. ​Dushbara is a traditional Azerbaijani dish of dumplings made of dough and filled with ground meat and condiments. It is also spelled düşbere or düşbere. 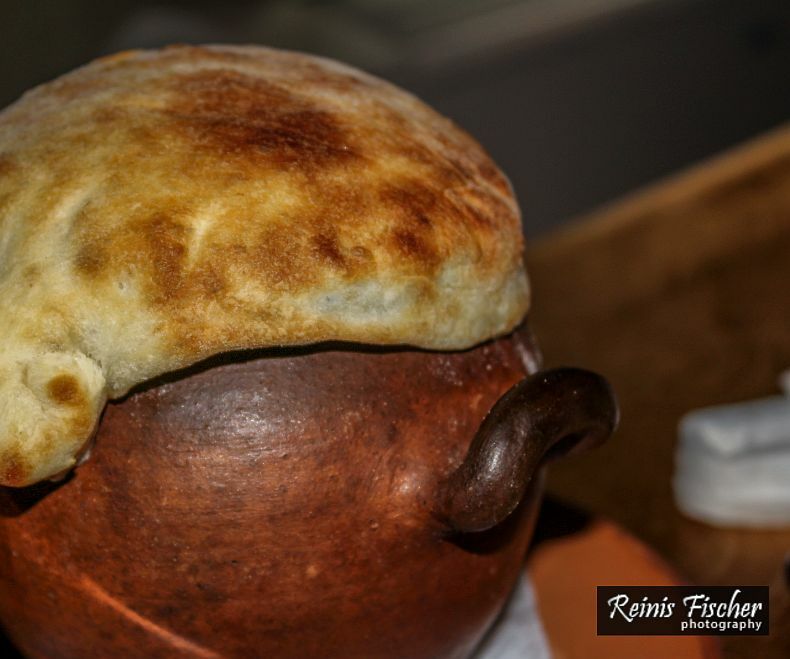 Typical ingredients include flour, ground beef, onions, herbs, salt, black pepper and tomatoes. 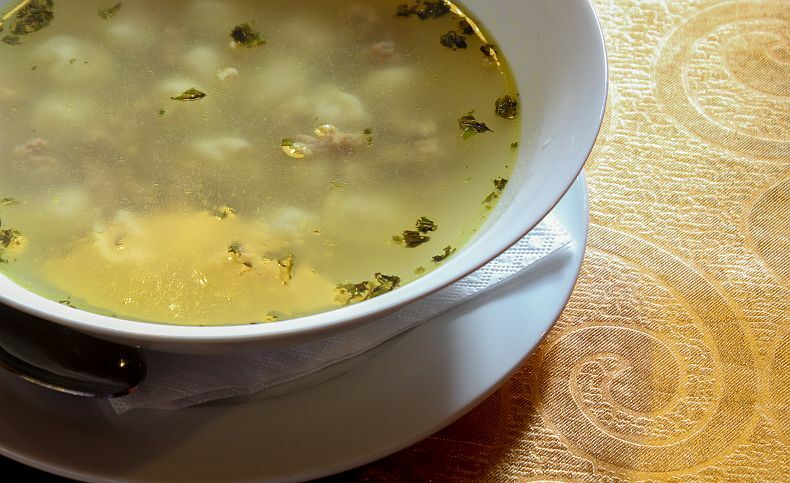 The national soup of Azerbaijan made from pieces of mutton on the bone, cooked with vegetables in a broth; prepared and served in individual crocks. 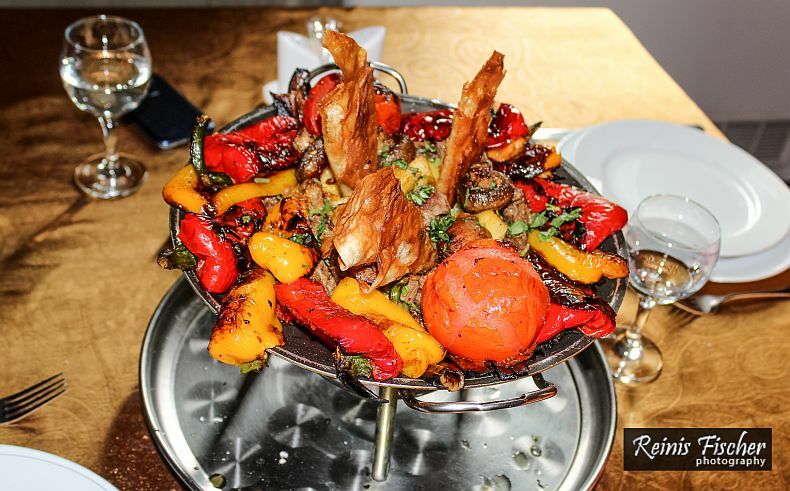 ​This was just a masterpiece - the best hot meal I have tried like for the past five years - this assorti consisted of grilled vegetables, veal meat, mushroom, potatoes . .. and was served on plate with burning coal under... We couldn't finish this tasty super mega assorti I asked to pack it in container for takeaway. 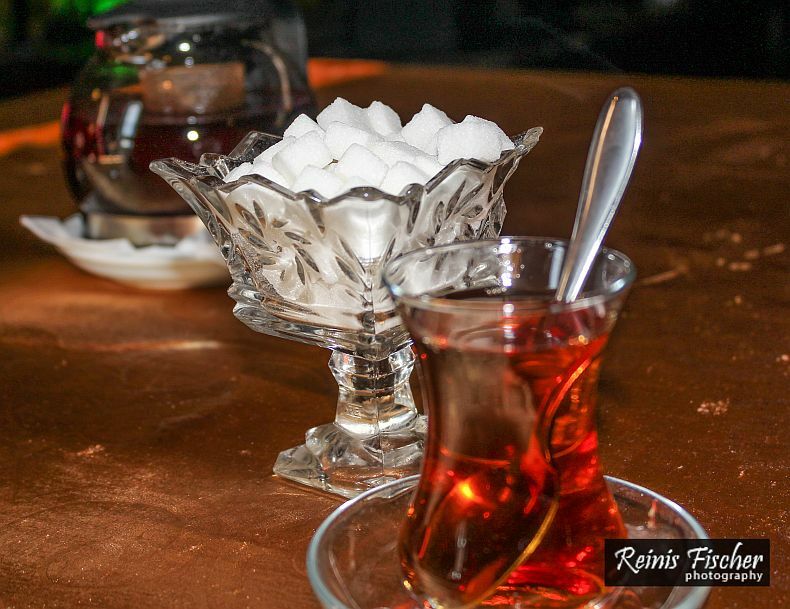 You must order black tea and sweeten it with sugar, when at such places. It is just an indescribable experience. Our total bill here about 70 GEL, interior is really stylish and stuff is super friendly. You just should come to this place over and over.